Stuart Ball is about to attempt an unaided west-to-east crossing of Australia in under 100 hours. 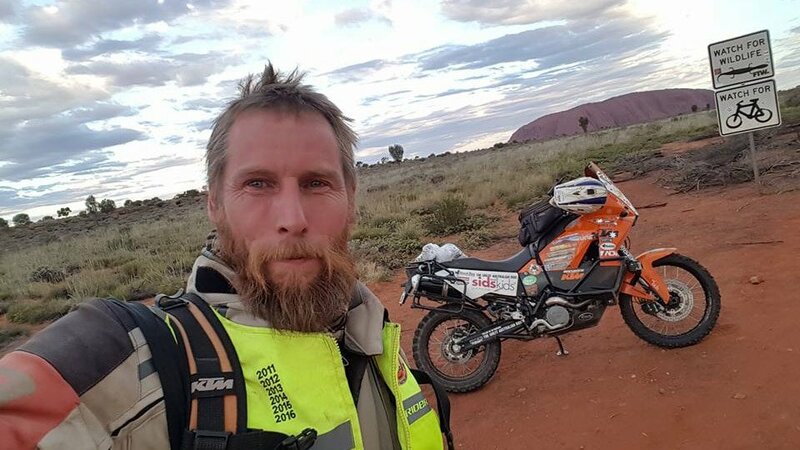 Stuart Ball, the man who created the Great Australian Ride that raises funds for SIDS and KIDS, is about to take on a solo crossing of Australia from west to east totally unaided. The Great Australian Ride treks from Byron Bay in New South Wales to Steep Point in Western Australia and this year’s event finished on the 26th August. Stuart decided that rather than pack the bike up and ship it back to the east coast he’d ride it back to raise more money for the charity. But he also decided to do the run without any support team, and to do it in less than 100 hours. Stuart plans to leave Steep Point, the westernmost point of the Australian mainland, at 5am on Wednesday 7th September. He will cover over 5,000km tracking through the centre of Australia, including passing Uluru. All going well, Stuart plans on arriving in Byron Bay, the most easterly point of Australia, by 11am on Sunday. Stuart says he has carefully planned and paced his trip so he can do it without a support team. That includes burying several drums of fuel at strategic locations along the way, something he did on the trip over a couple of weeks ago. Even so the risks are great and his progress across the country is being carefully monitored. The bike Stuart is riding is a KTM990 Adventure and this is its seventh crossing of the country, having been with Stuart since the first ride. 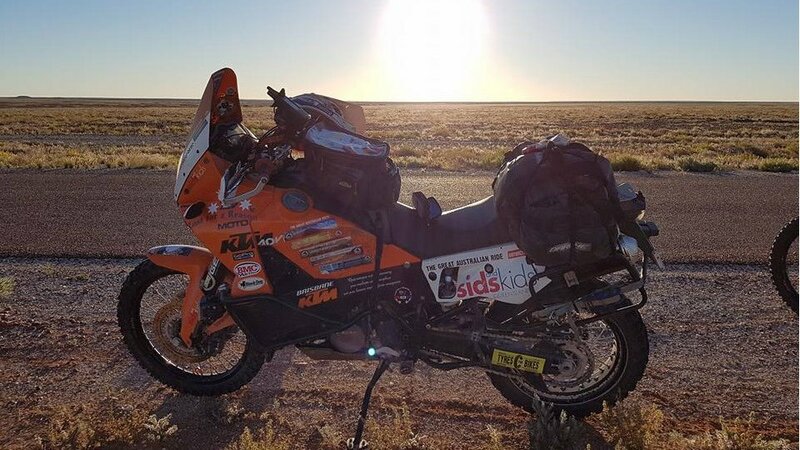 The Great Australian Ride started in 2011 when Stuart took the KTM across the country by himself and raised $5,200 for the SIDS and KIDS charity. His first ride created so much interest he found others wanted to join him the following year, and Stuart now carefully selects a small number of riders each year who have the experience to deal with the tough terrain and conditions. Entrants in the ride also have the responsibility of raising funds and so far this year over $70,000 has been raised. You can find out more about Stuart, his ride and how to donate at http://www.thegreataustralianride.com/ and you can track his progress here. Also, watch out for our exclusive interview with Stuart on Motorcycle Life in the coming days.